Former Secretary General Kofi Annan says if the UN Security Council does not appoint new permanent members then its primacy may be challenged. The UN security council must take in new permanent members or risk becoming increasingly irrelevant on the international stage, former secretary general Kofi Annan has warned. In an interview with the Guardian, Annan said Russia, China, the US, France and the UK should take advantage of the imminent 70th anniversary of the UN to modernise the pre-eminent global security body by welcoming in powers such as India and Germany. “One should always take advantage of the accident of the calendar and really push for major reforms,” said Annan, who was secretary general from 1997 to 2006. “I firmly believe that the council should be reformed: it cannot continue as it is. The world has changed and the UN should change and adapt. If we don’t change the council, we risk a situation where the primacy of the council may be challenged by some of the new emerging countries. The security council has been criticised for its failure to deal with crises such as the wars in Syria and Ukraine, and for its impotence in longer term issues, including the situation in the Middle East and the banning of landmines. 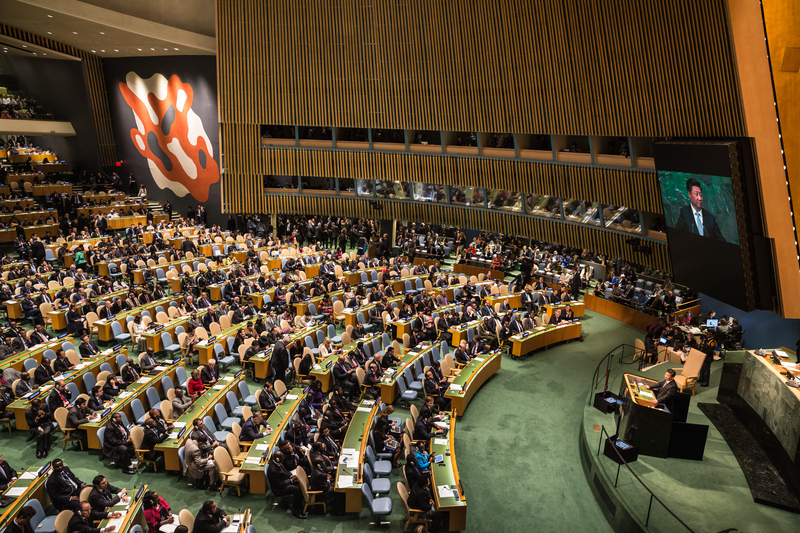 The current system, which gives only five countries – China, France, Russia, the UK and US – a permanent seat and veto in the council, has been widely criticised as an anachronism, setting in stone the global politics of 70 years ago. Among the longstanding proponents of reform are India, Germany, Japan and South Africa, all lobbying for a permanent seat on the council. Successive secretaries general have attempted to push through reforms but have met resistance from the sitting powers, as well as stumbling blocks such as disagreement over which countries would be chosen to join the current five permanent members. Any reform of the security council would require the agreement of all five, and at least two-thirds of UN member states. A text setting out the basic framework for reform is being considered by member states, but experts are pessimistic about whether discussions will have any effect, given the lack of interest from the big powers such as the US and Russia. Annan resigned from his role as UN envoy to Syria in 2012, blaming “finger-pointing and name-calling in the security council”. Now, he says the international community is realising too late that it has to act. “I think the Syrian situation is a rather tragic and unique one. There were very serious miscalculations by many countries. Everyone thought their side was going to win in three months or so; and when you believe you are going to win, you are not really interested in sitting down and working out the nitty gritty of a peace agreement. He says that, until the permanent members of the council can agree on a common strategy, there is nothing that the UN as an organisation can do to make peace. The original interview appeared in The Guardian.